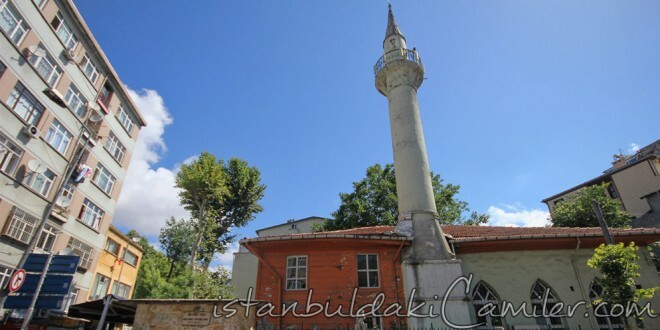 Muhsine Hatun Mosque: Muhsine Hatun, wife of Grand Vizier Makbul (Maktul) Ibrahim Pasha had this mosque built to Mimar Koca Sinan in 1532. The name of the structure is mentioned in the boks. Tezkiret’ül-Ebniye, Tezkiret’ül-Bünyan and Tuhfe-i Mimari that lists the name of the works built by Mimar Sinan as the “Masjid of ibrahim Pasa Zevcesi” or “Masjid of Muhsine Hatun. The rest of the dervish lodge parts besides the masjid and ablution fountains, which are stili in service today, are disappeared. The walls of the oblong designed main praying section are made of stones and bricks whereas the walls of its closed last congregation section are of wood. The entrance to the main praying section, which comes until today with no change, is with flat arch. The inscription dated 1532 is placed between the arch of the gate and its 5-rowed muqarnas yashmak. First line of the inscription written in sülüs (a style of Arabic script) calligraphy in verse is spared for a Hadith. The minaret located on the northwest of the main praying section is seated over a square pedestal. There are ornamental engaged columns in the corners of the footing of the minaret, which was built of sandstones like the pedestal itself, with frusto-conical volutes in the lower parts, and pilasters on the upper parts.